The idea that some gemstones are precious and others are only semi-precious is familiar to every buyer of colored stones. Precious stones -- diamond, ruby, sapphire and emerald -- generally command a premium price in the market due to their color or brilliance, hardness and rarity. While the precious stones are deservedly famous, the conventional distinction between precious and semi-precious gems is no longer sanctioned in the gemstone business, and with good reason. In fact there are many misconceptions associated with this distinction. One common misconception is that the distinction between precious and semi-precious gemstones has a long-standing tradition, going back many centuries. In fact it is a fairly recent innovation, dating only to the 19th century. The first use of semi-precious to mean "of less commercial value than a precious stone" can be traced back only to 1858. Another misconception is that the specific list of four precious gems has a long history. 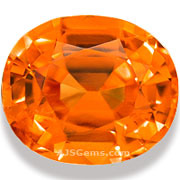 In fact the traditional list of precious gemstones is quite a bit longer and includes some surprising members. Pearl, though not strictly speaking a gemstone, was considered to be precious; so was opal. 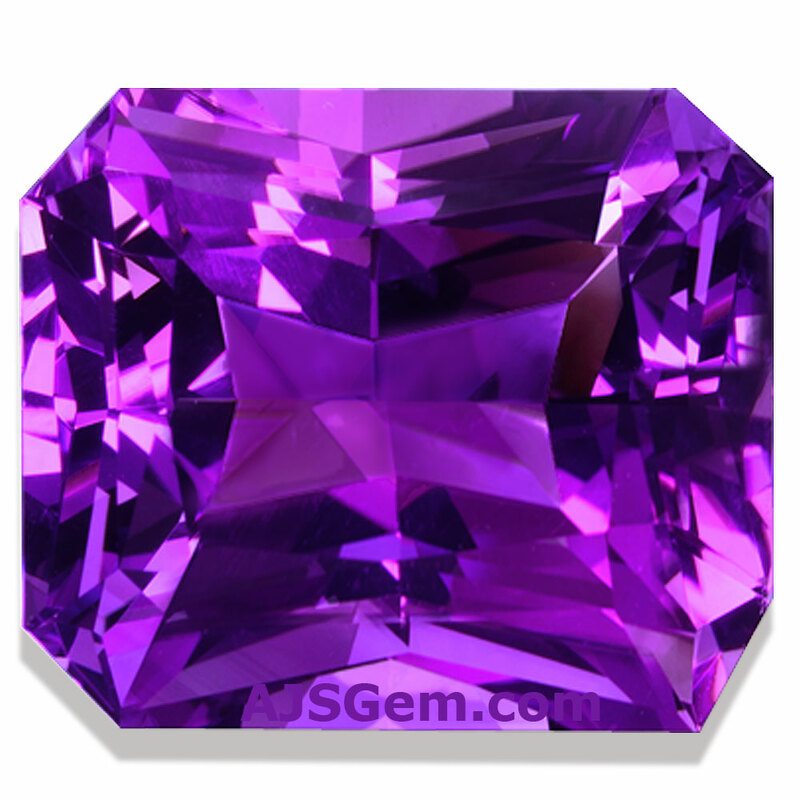 But one of the most traditional precious stones with a history going back to ancient Greece was amethyst. Amethyst was reclassified as semi-precious after large deposits were found in Brazil and Uruguay in the first half of the nineteenth century. Indeed the introduction of the term semi-precious into the English lexicon corresponds to the new amethyst discoveries. Of all the precious stones, diamond is the most subject to myth. But it is interesting that the myths are of modern rather of than ancient origin. Historically, colored gemstones such as ruby and sapphire were more highly valued than diamond, mainly because diamond was not particularly rare. But the twentieth century saw a major change. The first thing that happened is that very large finds in South Africa created an even more abundant supply of gem quality diamond. At the same time, the perceived value of diamond has risen to the point where it's fair to say that diamond is at the top of the list of the precious stones in the mind of the buying public. What happened? Aren't precious gems valued especially for their rarity? In the 19th century, world production of diamond was very modest, only a few kilos a year. After the discovery of the huge South African diamond mines in 1870, diamonds were being dug out of the ground literally by the ton. There was such a glut of supply and so little demand that the British financiers of the South African mines were in danger of losing their investment. Their solution was to create the powerful De Beers cartel that to this day largely controls worldwide diamond production and supply. Quality diamonds are actually not scarce at all. But De Beers controls how much supply comes on the market and that keeps prices high. The De Beers consortium also mounted a concerted decades-long advertising campaign to associate diamonds with love, courtship and marriage, under the now familiar slogan "Diamonds are Forever." The diamond engagement ring, once unknown in most parts of the world, is now considered an essential part of the ritual of marriage. It is hard to avoid the conclusion that diamond's special position as a precious stone is due largely to monopoly economics and social engineering. 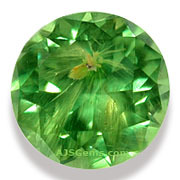 These days a number of rare "semi-precious" stones such as alexandrite, spinel, jadeite, tanzanite and demantoid, spessartite and tsavorite garnet can be nearly as expensive as ruby and sapphire. Very fine tourmaline and aquamarine in larger sizes also command high prices in the market. It is fair to say that we have now reached the point where the distinction between precious and semi-precious gemstones has become meaningless when looked at from the point of view of price and rarity. Opposition to the distinction between "precious" and "semi-precious" has garnered support from both the US Federal Trade Commission (FTC) and gem industry groups. The FTC periodically considers banning the use of the terms altogether to reduce consumer confusion. The American Gem Trade Association (AGTA) has already added the following language to their Code of Ethics: "Members should avoid the use of the term 'semi-precious' in describing gemstones."